In the comments of the Creating a Stripe Material tutorial a commenter pointed out that you can make the stripes wavy by adding two nodes. If you don't already have the stripe material, you can get it for free by signing up for the newsletter. 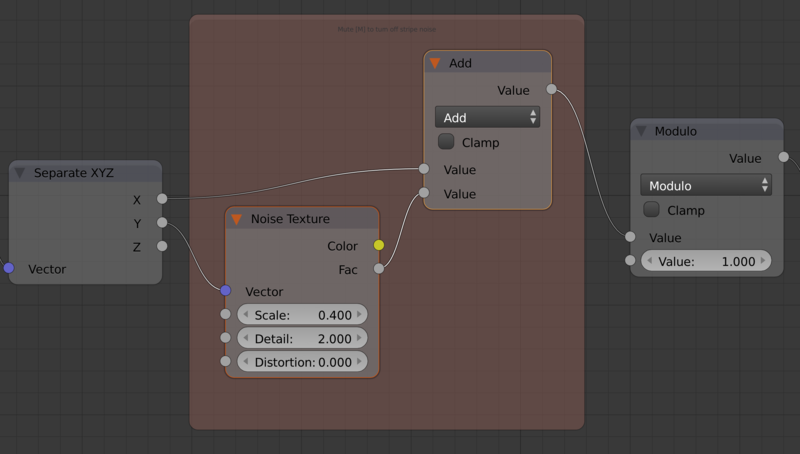 Below is the two nodes you need to add to achieve the look you see above. It works really well!